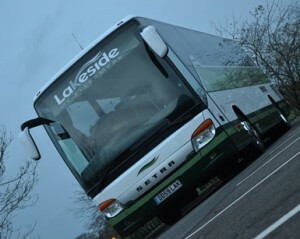 One of the finest fleets of coaches in the country. Our fleet is instantly recognisable and is selected to exactly meet the needs of our customers and the top quality service we offer. 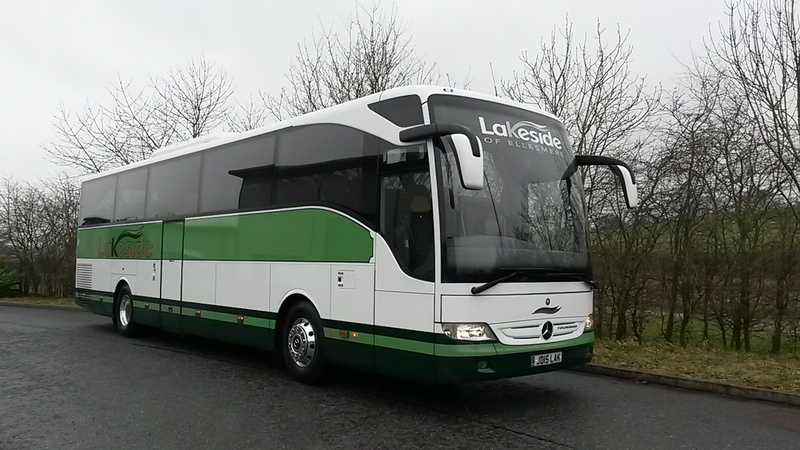 In the main they are from the trusted 3 point Star from Germany of Mercedes Benz and the hard working, yet ultimately stylish Volvo of Scandinavian. 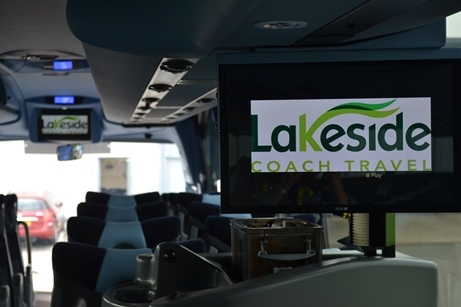 Both variants are climate controlled with air conditioning, DVD with multiple flat panel monitors (the motorised automated flip down type on quite a few! ), WC/Washroom, refrigerator, hot drinks facility. 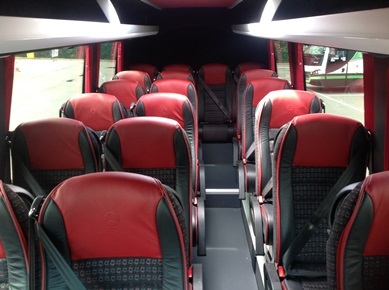 The Sunsundegui’s are numerous in the touring fleet and are well appointed with light and modern interior design, ergonomic reclining seats with integrated foot rests. 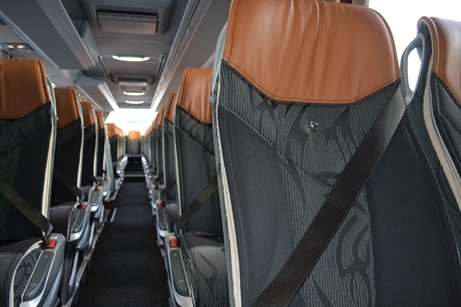 Both variants are climate controlled with air conditioning, DVD with multiple flat panel monitors, WC/Washroom, refrigerator, hot drinks facility. 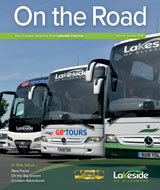 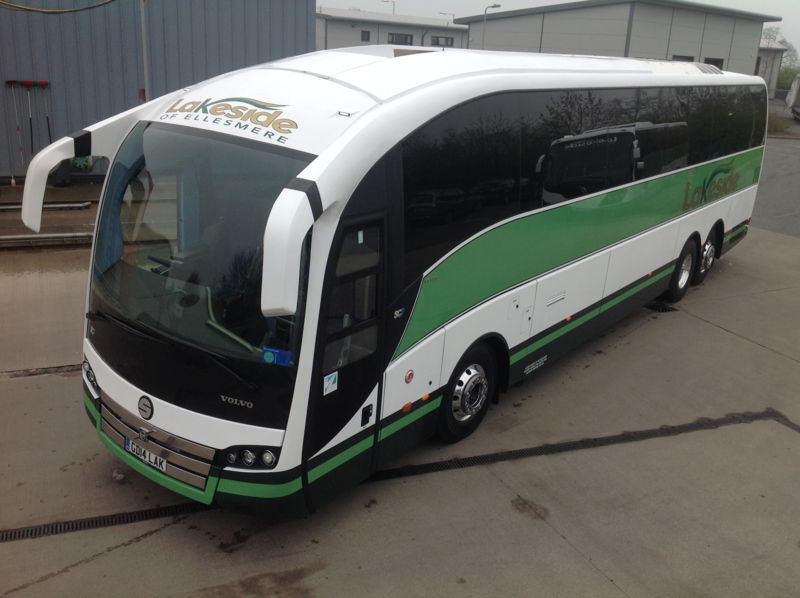 Our MAN Tourliners are in the long 59 seat triaxle type, specified to full touring class. 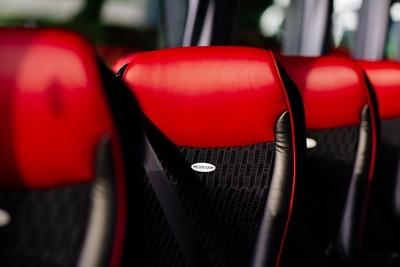 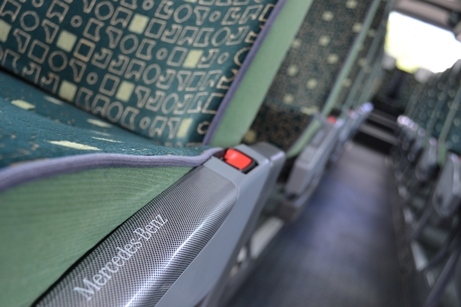 Seating is luxuriously appointed, very much similar to those in our Mercedes Tourismo collection alongside some great facilities including; climate controlled with air conditioning, DVD with multiple flat panel monitors, WC/Washroom, refrigerator, hot drinks facility. You would be struggling to tell much difference between this and the Mercedes Tourismo’s, so in all honesty there is not much point in duplicating the details! These hard working coaches cover the UK in our touring, private and contract fleet work. 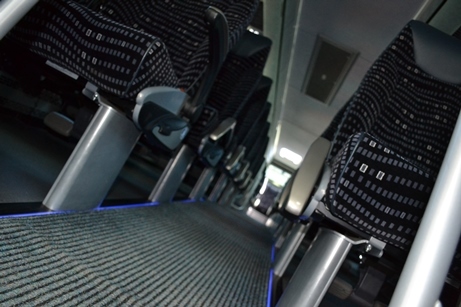 They are very versatile and are specified in a way to allow them to cover their multiple work types whilst travelling in luxury and comfort. Depending on the exact vehicle, the 49 and 53 seat configurations are climate controlled with air conditioning, DVD with multiple flat panel monitors, WC/Washroom, refrigerator, hot drinks facility. 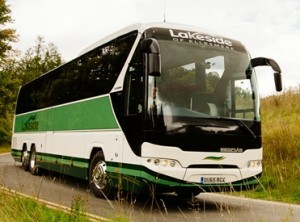 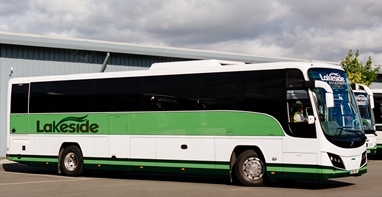 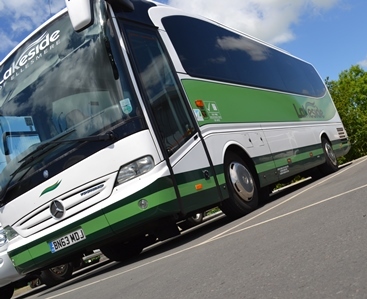 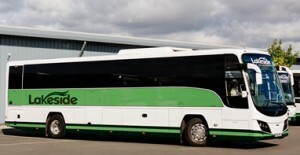 Very much identical to its bigger Tourismo brothers this 36 seat climate controlled vehicle has a proper big coach feel with more or less the same plush seats too in a very nice corporate green. 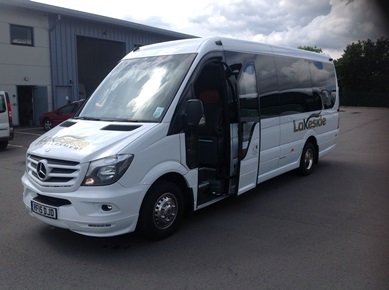 (With some rather nice Mercedes Benz embossing too!). 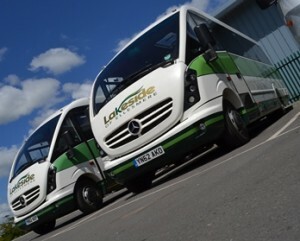 These 4 hard working proper mini coaches are slightly different in look but are all based on the same Mercedes Benz chassis. Most are air conditioned, with coach type seating and soft furnishing. Equally well suited to corporate work, day hire, group holidays and long distance transfers. 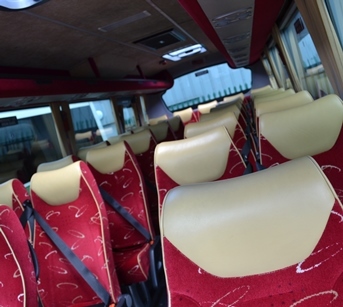 These 4 vehicles are solidly built as you would expect from this manufacturer and are appointed more towards corporate transfer and wedding hires. 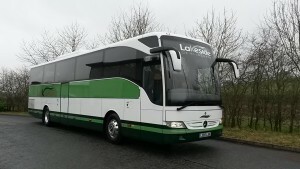 The latest two include leather seats (this time with headrest Mercedes logo embossing), a dark window tinting and air conditioning.